The Academy of Motion Picture Arts and Sciences hosts an international screenwriting competition established to identify new talent in screenwriting. Up to five $35,000 Fellowships are awarded annually. Fellowship recipients are expected to complete at least one original feature film screenplay during the Fellowship year. Deadline in February. This writing program gives you a salaried position for a year as you get hands-on experience writing specs and pitching stories. As part of their script writing, each writer will be assigned to an Executive in Charge of Production and have an opportunity to write a spec script for an on-air Nickelodeon show. In addition, all writers are integrated into the activities of both the development and production departments. Deadline in February. This screenplay competition from Nantucket Film Festival gives cash prizes and VIP festival access to winners with scripts for short films, feature films, 30-minute TV Pilots, and hour-long TV pilots. The competition gives writers the opportunity to have their scripts read by a prestigious jury, receive top industry recognition, participate in a festival focused specifically on screenwriting, including a Mentor’s Brunch with the Festival’s Screenwriters Tributee, and win over $7,000 in total cash prizes. Deadlines in March. The Slamdance Screenplay Competition is dedicated to discovering and supporting emerging writing talent. They welcome screenplays in every genre, on any topic, from anywhere in the world. A unique feature of the competition is providing constructive feedback for every entrant. In addition, they also offer a more intensive coverage service for a supplementary fee. Deadlines beginning in April. 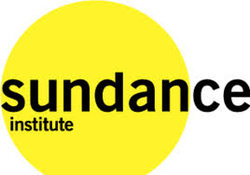 The Sundance Screenwriters Lab is more than a five-day screenwriting workshop – it’s the gateway for all films chosen to be in the Director’s Lab, as well as eligibility to many of the Sundance grants. Through one-on-one story sessions with Creative Advisors, Fellows engage in an artistically rigorous process that offers them indispensable lessons in craft, as well as the means to do the deep exploration needed to fully realize their material. Deadlines in May and August. In this six month mentorship program, writers get to build relationships to further their careers. The focus is on opening doors: providing opportunities to build relationships with network executives and show runners; to support new and emerging writers in their efforts to improve their craft; and to develop the interpersonal skills necessary to break in and succeed. Deadline in May. A five-week lab in Los Angeles where writers work on their scripts two to three evenings a week. The Lab is designed to help screenwriters improve their craft, develop their voices as writers, and take their current scripts to the next level. During the Lab, Fellows receive feedback on their scripts from the Lab Mentor, outside advisors, and the other writers in the program. LMU SFTV Screenwriting Fellowship Alumni of Loyola Marymount University who apply to the Screenwriting Lab can ask to be considered for the LMU Screenwriting Fellowship. The fellowship includes a $10,000 cash grant, as well as inclusion in Film Independent’s annual Screenwriting Lab. To be eligible, applicants must be alumni of Loyola Marymount University. Deadline in May. A three month program that prepares you to be a full-time staff writer, with a particular emphasis on applicants from diverse backgrounds. Writers on the Verge is a 12-week program focused on polishing writers and readying them for a staff writer position on a television series. We are looking for writers who are “almost there” but need that final bit of preparation with their writing and personal presentation skills. Deadline in May. Artist Trust is dedicated to supporting Washington State artists working in all creative disciplines. They provide Washington State artists of all creative disciplines the necessary support to launch and sustain successful careers, through financial grants, career training and professional resources. Artistic excellence is the highest priority in their funding programs. Grants range from project grants and major merit awards to residencies in the Northwest and abroad. Recipients are determined by peer panels of artists and arts professionals from around and outside the Northwest. Their budget ceiling is $500,000. They fund shorts, docs, and independent features under this amount. They want films that are unique and make a contribution to society. They fund compelling stories about little knownn subjects, historical films, and films that touch hearts. They like films that expose and bring important information to light, they like films on little known people when there is a good story. They are story-tellers and that is the main criteria for entering and winning their grants, stories that can change and stories that can heal and enrich our lives. 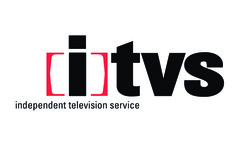 ITVS funds, distributes, and promotes new programs primarily for public television. 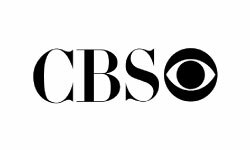 They work with independent producers to create and present programs that take creative risks, advance issues and represent points of view not usually seen on public or commercial television. ITVS is committed to programming that addresses the needs of underserved and underrepresented audiences. 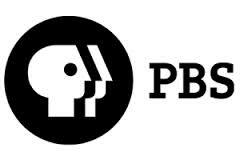 They look for programs that bring new audiences to public television and that expand civic participation by bringing diverse voices into the public sphere. Over a million dollars annually in grants for both narrative and documentary films and new media projects. They offer real-world connections with industry professionals and each other and offer guidance and provide one-on-one assistance through the filmmaking process. If you know of funding that is not included in our list please fill out our Funding Info Form so we can continue to grow our list of sources. 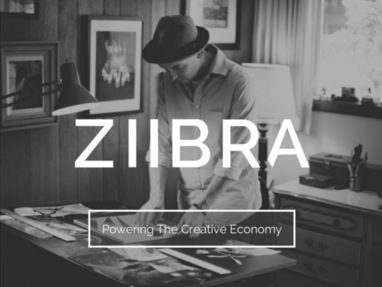 ZIIBRA is a micro-patronage platform for artists, creators, and makers. Their team has been working day and night for the past year with creative minds just like you to build the right tools for showcasing and supporting amazing talent.